Even if you have benefited many times from CNC parts and components, you may not understand the principles of how a CNC drilling machine works. Although not overly complicated, there is an art and science behind producing high-quality finished products. 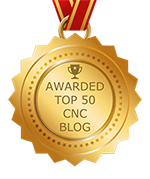 Especially when it comes to custom CNC drilling services, the behind-the-scene action is interesting.